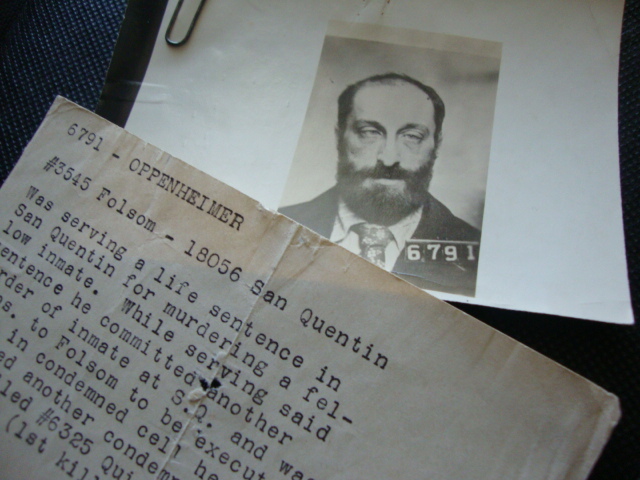 Jacob Oppenheimer, dubbed The Human Tiger, spent a great deal of time in solitary confinement in both Folsom and San Quentin. In fact, of his 18 years behind bars, roughly 16 of them were in solitary. Only during the last few years before his execution at Folsom in 1913, did guards allow him light, and reading and writing materials. During those years, Oppenheimer penned many essays, letters, and even his autobiography. An extraordinary writer, Oppenheimer possessed a vast vocabulary, intelligence and incredible insight into the outside world and the human psyche. 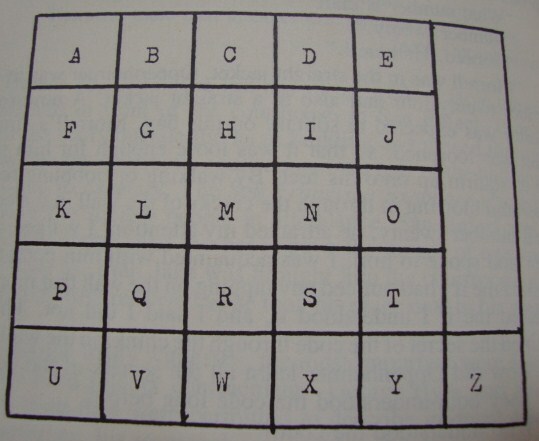 The only time Oppenheimer would speak to the other solitary inmates would be in the prison yard during their thirty minute-a-week exercise where he’d disclose the diagram. The other prisoners then scratched it into a hidden area on the wall of their cell. Oppenheimer explained to his fellow cons, that a certain amount of taps on the wall represented a certain letter. For example, since “Y” was five over and five down, the inmate would use five taps—twice. “E” the fifth letter, required one tap, then five. At the end of each word or line, the messenger then tapped twice. Over time, other inmates divulged Oppenheimer’s communication system to the new arrivals in the ward, thus saving Oppenheimer the time and trouble. Oppenheimer’s inventiveness and intelligence far exceeded that of the average convict at Folsom. Despite his dreary solitude, Oppenheimer’s writings exhibited an optimism not common for a condemned incorrigible. In his letters to his attorney, this “caged tiger” often expressed gratitude and even joy. I’ll leave you with a sentence he wrote, ending a letter written on Christmas Eve 1907, that seemed to exemplify his usual contentment. Categories: Folsom History | Tags: Folsom Prison, Folsom prison history, Jacob Oppenheimer, prison communication, The Human Tiger, underground telegraph, writing | Permalink.